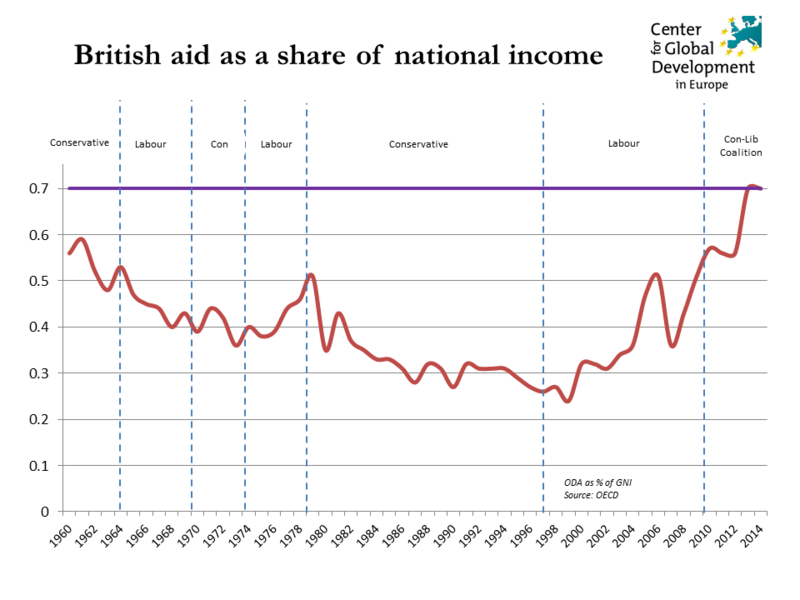 The budget presented today by Britain’s ruling coalition confirmed that the UK will meet the 0.7% target on foreign assistance in 2013. This means that Britain will join Sweden, Norway, Luxembourg and Denmark as the first G-8 member of the small club of countries which meet the UN target – first agreed in 1970 – of spending 0.7% of Gross National Income (GNI) on Official Development Assistance (ODA). (The Netherlands, which has been above 0.7% every year since 1975, looks likely to leave the club in 2013). Meeting the target entails a substantial increase in the DFID budget. According to the budget documents (page 69 of the Red Book), the DFID spending limit will rise from £7.8 bn in 2012-13 to £10.7 bn in 2013-14. As far as I know, there is no peacetime precedent for a 37% increase from one year to the next in the budget of a UK government department with no change in its responsibilities. The Government has also confirmed – I believe for the first time – that the protection for the ODA budget will be continued into 2015-16. (See page 3 of the Red Book). For readers not familiar with the UK’s budget system: these budget proposals are formally subject to approval by Parliament in July in the Main Supply Estimates; but Parliament normally approves the provision sought by the Government. Have always used your working paper Owen, wish some one would write a book on DFID’s history since 1997.